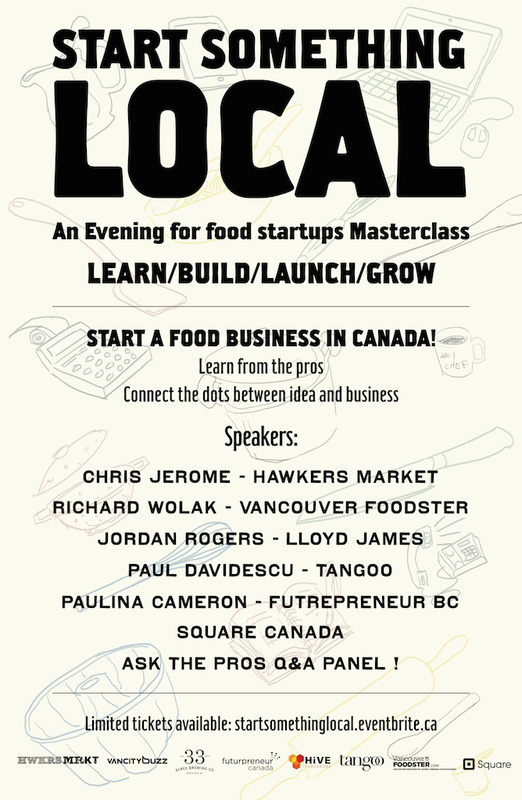 This Thursday at Hive Vancouver is an evening for Food Startups. The evening begins at 6pm with a mingle hour, followed by talks by each entrepreneur closing out the evening with panel discussion where you can ask the pros about what they do and how they started up. If you have considered starting a food business this is the ignition point, this Thursday come Learn to build launch and grow.